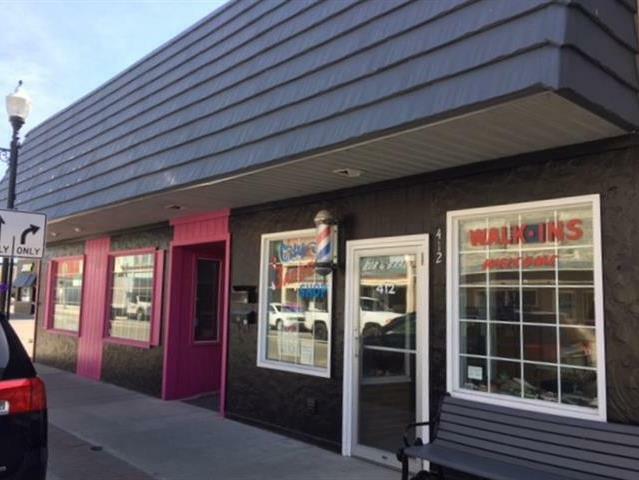 Highly desirable downtown Cheboygan commercial property available with great highway visibility! Two spaces for the price of one! Short walk to the Cheboygan River and other downtown hotspots! Building is located just two doors down from the movie theater! The larger area was set up for a restaurant with a large dining area, spacious kitchen and prep areas with plenty of storage! Office space in the rear. The adjoining space is currently leased as a barbershop which will allow for immediate rental income for the new Buyer! Property is being sold as is. Call today for this great opportunity to own your own downtown business!